This is it. The end of the line. The last hurrah. The final countdown. 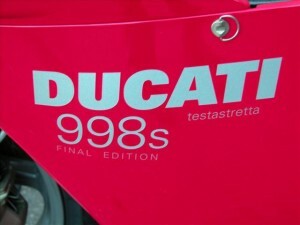 The Ducati 900SS FE or "Final Edition." 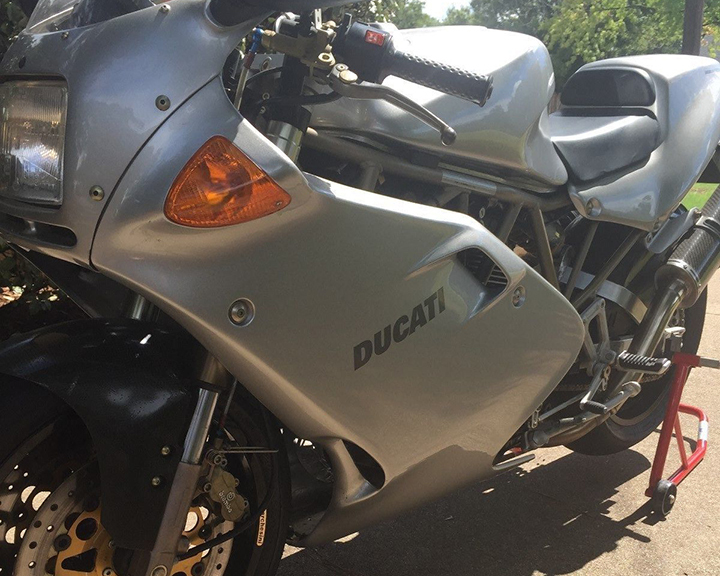 Well, not really: 1999 saw the introduction of a brand new-ish, fuel-injected, Pierre Terblanche-styled SuperSport that carried over most of this bike's strengths. But this is the very last of the old-school, carbureted SuperSports that carried Ducati through the Cagiva era and into the present: following a bit of a gap left after the Terblanche machine, Ducati is back with the introduction of a very Panigalesque SuperSport for for folks who want Ducati style and handling without the terrifying top-end power and chiropractor bills. 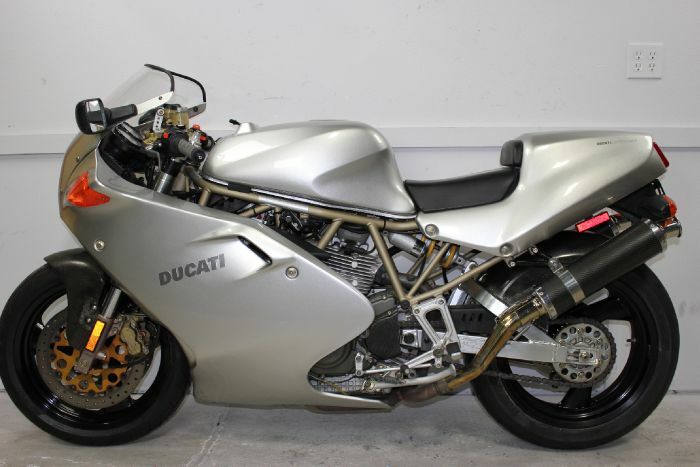 With slab-sided styling reminiscent of Ducati's earlier 851/888, the SS FE evoked an era of less frantic performance: Ducati couldn't hope to compete with the Japanese Big Four's never-ending cycle of restyles and cryptic performance acronyms, so they didn't bother. This is the sportbike distilled, with power accessible to mere mortals and superior handling. 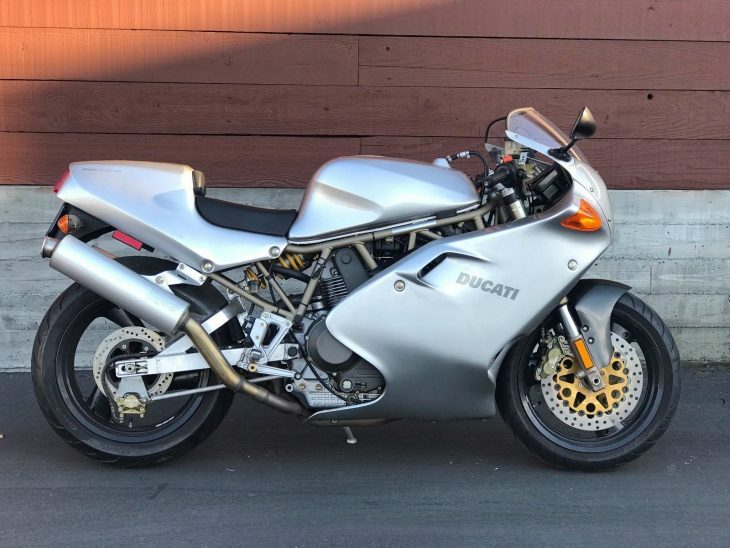 Built around Ducati's famous trellis frame and powered by their two-valve, air-cooled L-twin engine, the Final Edition was basically a 900SS/SP with silver paint and a solo tail, along with some carbon-fiber and other lightweight bits. 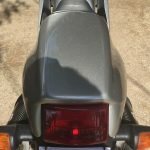 While most modern sportbikes discourage actual passengers by limiting accommodations to a tiny cushion and a set of pegs designed more as tie-down mounts, older sportbikes that might otherwise make decent bikes for ferrying significant others simply got rid of the seat entirely to convey Maximum Sportiness. 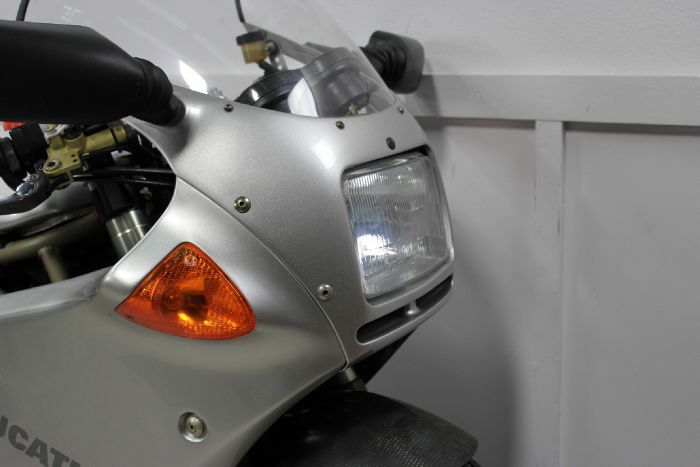 The solo tail and deleted passenger pegs on the Final Edition also allowed the use of a high-mount exhaust that provided additional cornering clearance for spirited riding or track days. Straight-line performance was never this bike's strong suit: with a claimed 84hp pushing the bike's 424lb wet weight, an SS would get positively murdered by any Japanese inline four of the period. 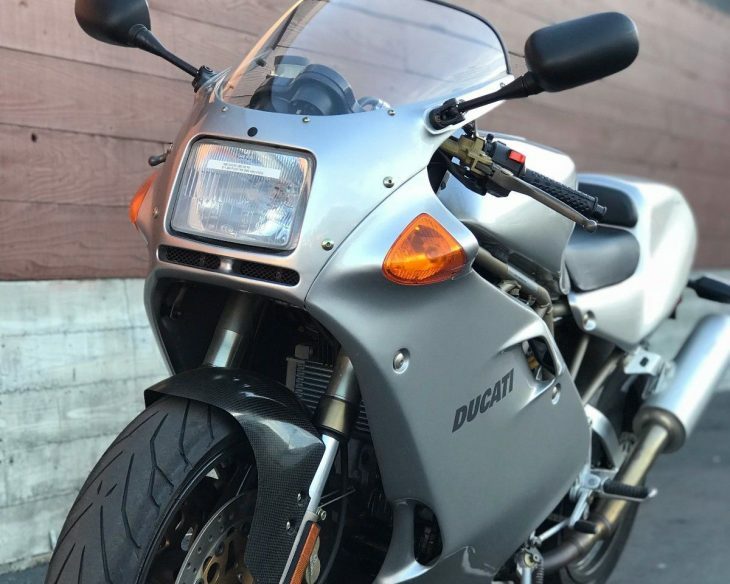 But the Ducati had charisma to spare, handling, comfort, and that glorious v-twin sound that only gets better with a set of carbon-fiber exhausts. 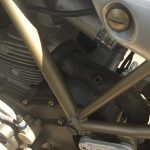 Or, if you're on a budget, you can simply drill out the rivets on the standard exhaust, remove the stock guts, and presto: booming Ducati noise for the cost of a few screws! 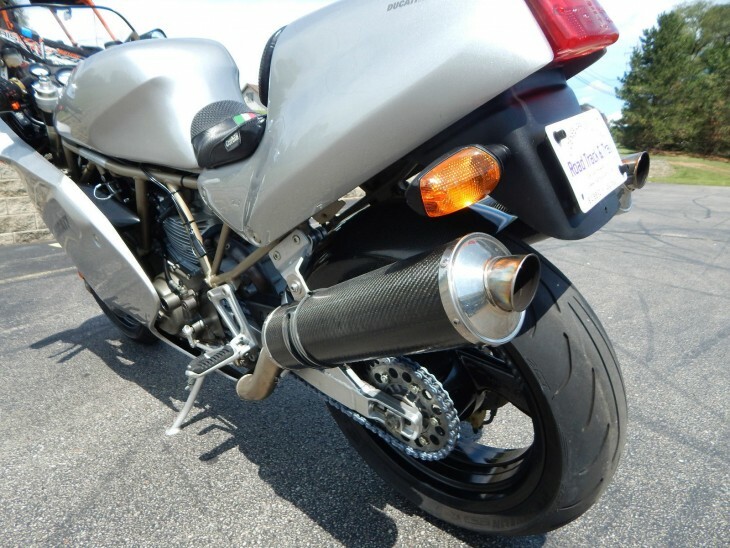 Luckily, this particular example comes with a quality set of carbon mufflers included so, unless you're a Termignoni snob, there's not much to add. 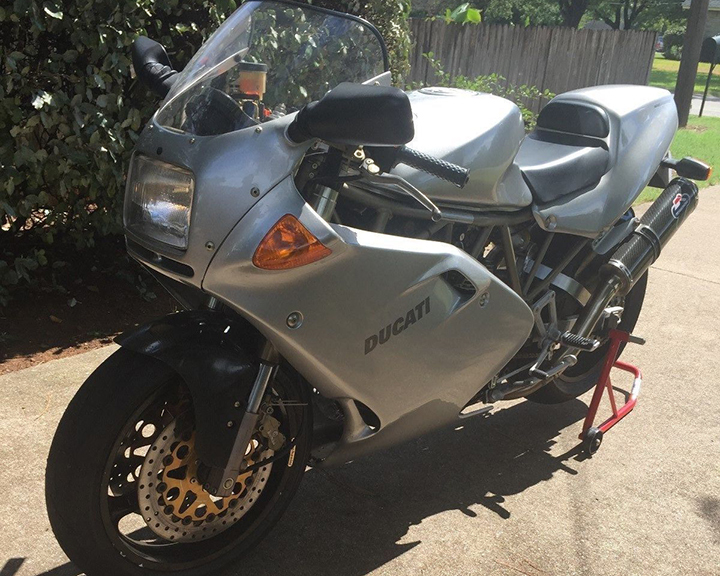 Ducati 900 Supersport Final Edition, this bike has covered 12366 miles, fresh service at AMS Ducati Dallas which included oil change Motul 300V, fuel filter, hydraulics flushed, etc. Bike is in excellent cond with a small crack under the Michellin Man decal on the right hand lower fairing. 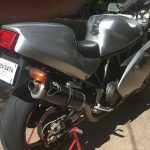 Bridgestone tires have 1000 miles on them, upgraded clutch slave cylinder from Yoyodyne, Ducati Performance carbon mufflers, carbon tank protector. 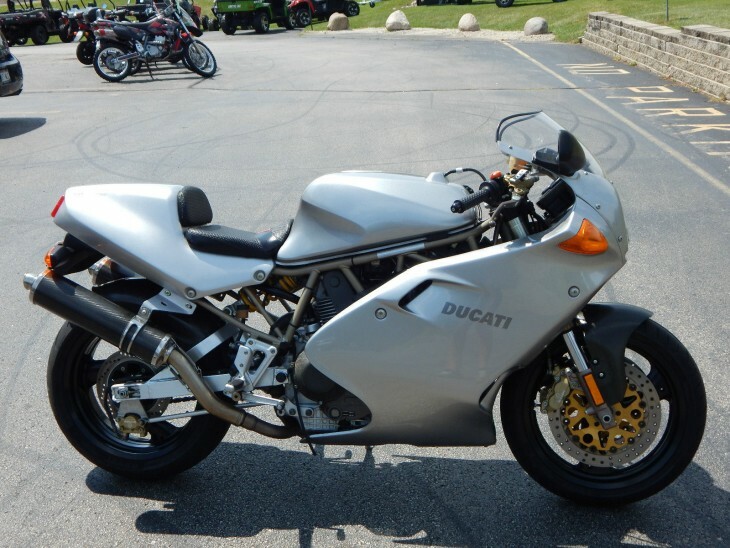 The 900 FE is limited edition and this bike is #193 of 300 bikes imported to USA in 1998. 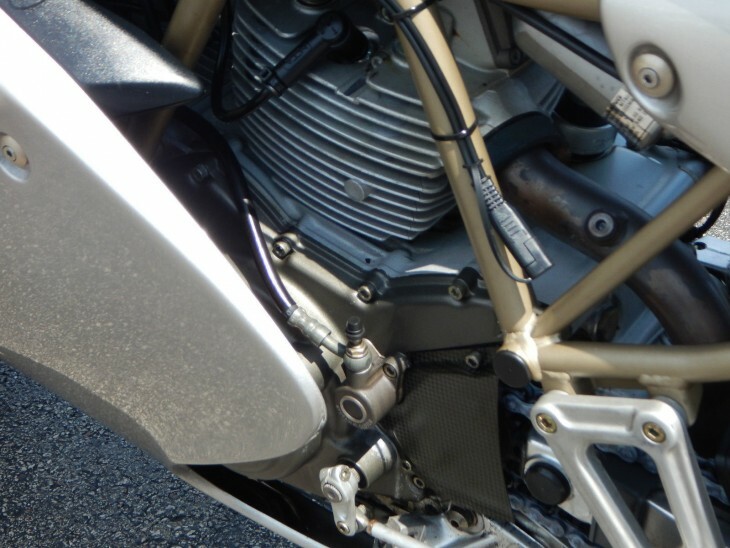 The carbon fibre fenders and clutch cover are all standard 900 FE parts. 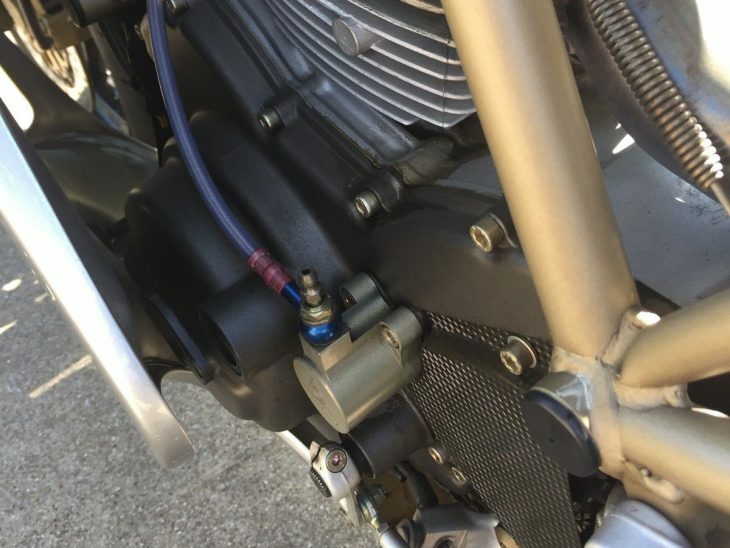 This was the last Supersport to have Mikuni carbs which have been re-jetted and matched to a K&N air filter. Bike makes 76 rear wheel horsepower on the AMS dyno. 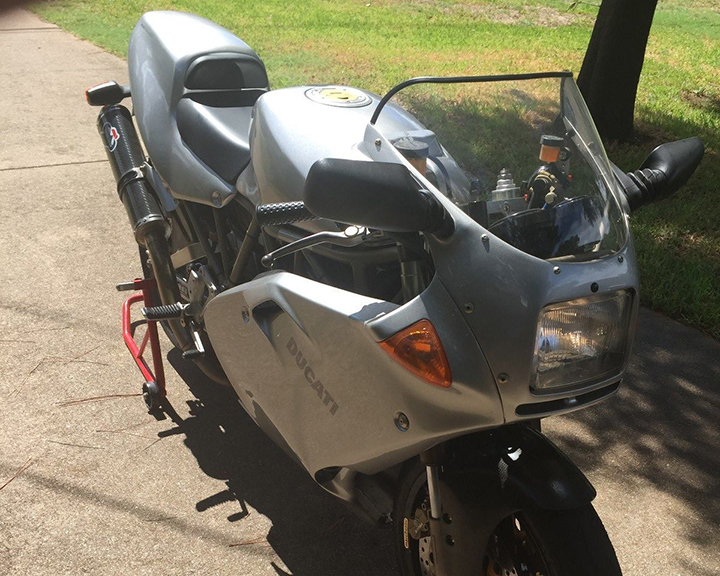 Selling bike to reduce collection. Spare key and owner's manual and toolkit included. Crating service available. 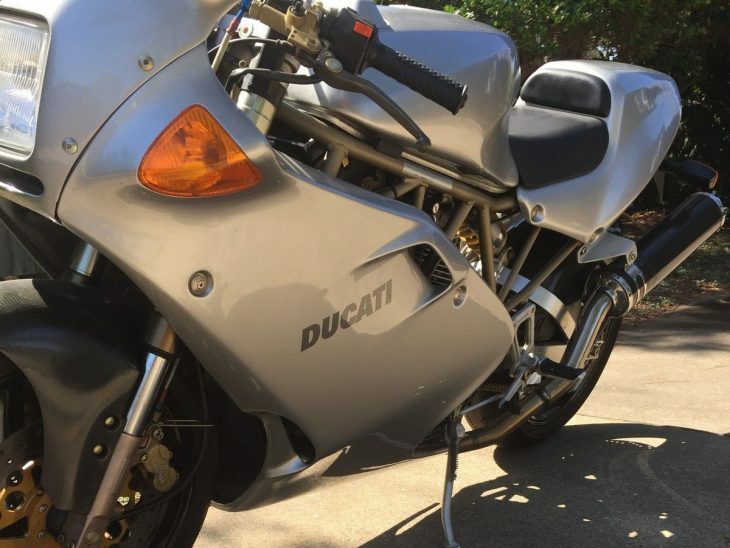 This bike's dyno'd 76hp is pretty much bang-on for a carbureted two-valve Ducati at the rear wheel and, unless you want to splurge on a set of 944cc pistons and some Keihin flat-slide carburetors, you're better off just enjoying the package, rather than chasing horsepower numbers that will still get creamed by anything remotely modern. 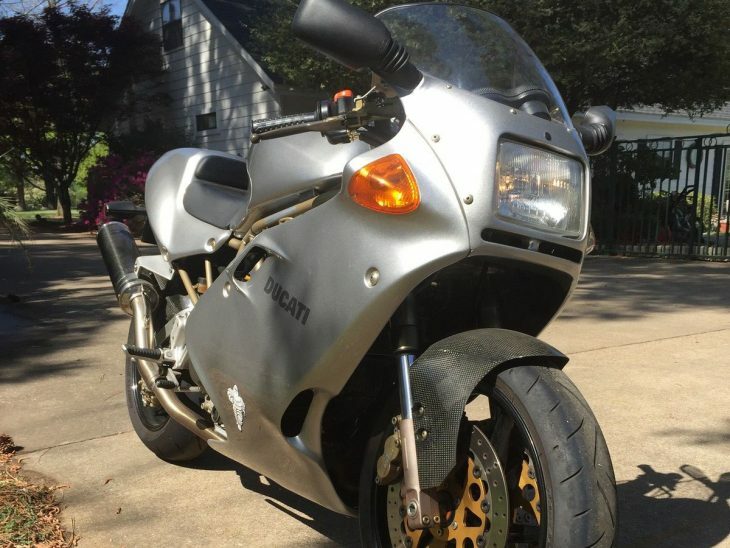 The photos in the listing aren't the greatest, considering that the bike's silver color hides imperfections and dirt pretty well, although it's pretty obvious that some of the carbon is a bit faded, but that's nearly unavoidable at this point. 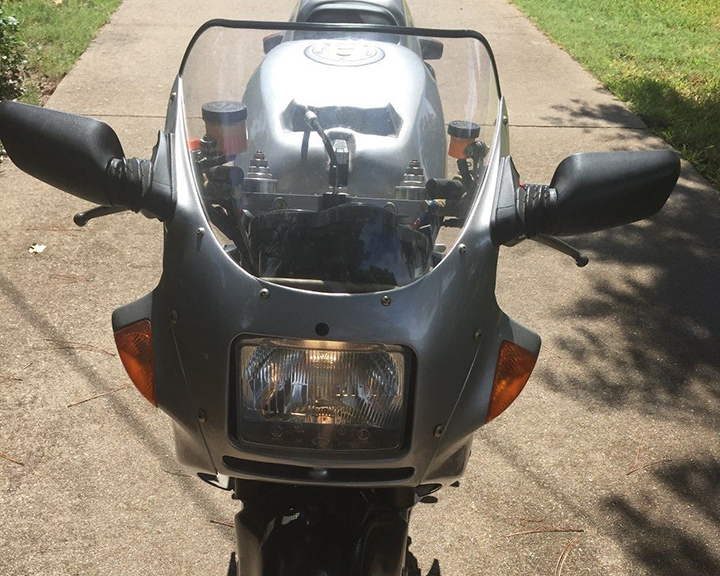 The FE is a bit of a top-shelf parts-bin-special, but that's not necessarily a bad thing and these are very rare motorcycles, if collectibility is your bag. I personally prefer the half-faired model in scar-your-retinas yellow, but this FE is undoubtedly the classy choice. 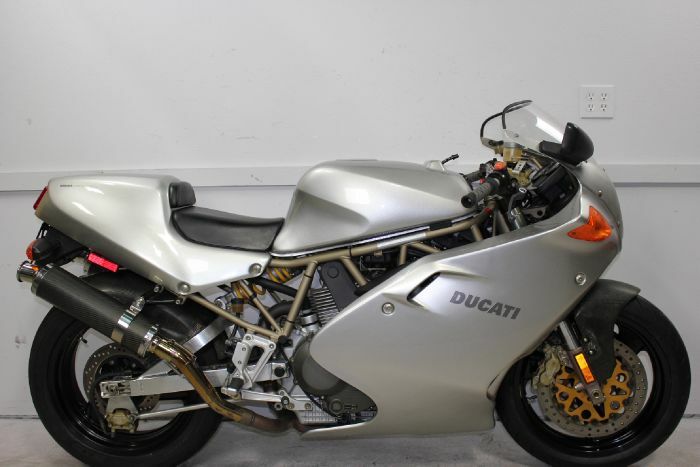 Here we have a 1998 Ducati 900ss FE. #246 of 300 imported to North America. The FE stands for 'Final Edition', Based on the 900SS SP, the FE comes dressed in elegant silver bodywork and black wheels, with carbon fiber rear fender, dashboard cover, and countershaft drive cover. A solo (monoposto) seat completes the stunning visual impression. But there's more than just skin deep beauty in the FE. To back up the race-bred look, a few additional changes were made as well. The exhaust pipes have been raised to provide improved cornering clearances. New cast iron floating brake rotors have been fitted with remote reservoirs and adjustable levers. New cylinders, alternator, and voltage regulator have been added. The resulting combination will assure that the thrill of the ride matches the beauty of the machine. Limited to just 300 bikes in North America, the 900SS FE is the last of the 2nd generation SuperSports to be produced by the Bologna factory. 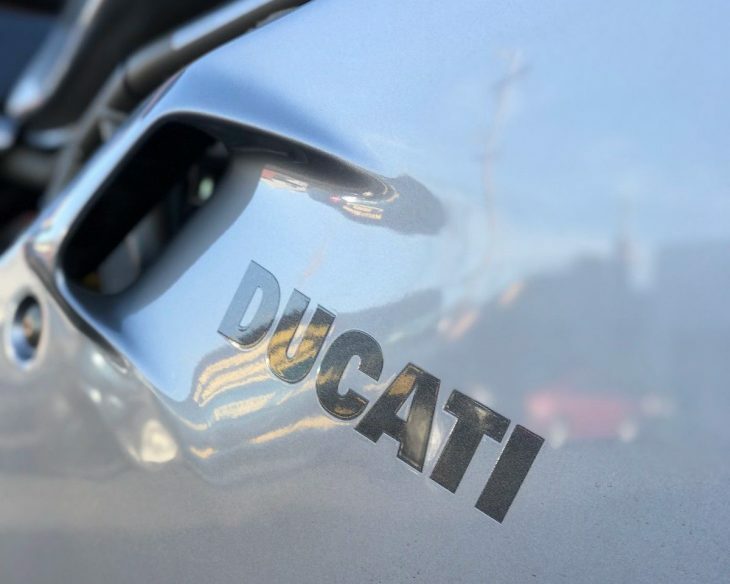 To further secure it's place in the DUCATI legacy, the top triple clamp of each FE is fitted with a consecutively numbered commemorative plaque. There is no doubt as to the special position the FE will assume in the heritage of the most sought after sport motorcycles in the world. The 900SS was certainly dated when new, a nearly retro-performance machine before that was really even a thing. Certainly, it was intended to appeal to collectors and designed to shift the moribund hardware while a replacement was being prepared, but the package can provide plenty of smiles if you're more of a back-road rider than a track-day warrior. 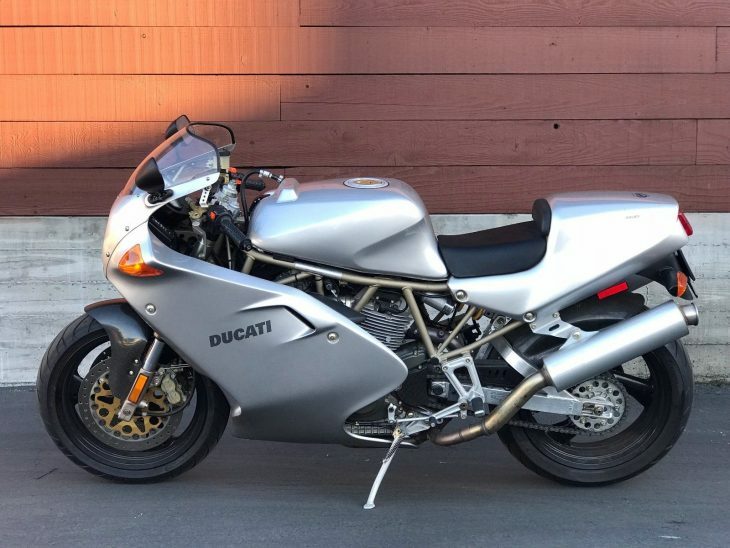 The seller is asking $8,999.00 for this sub-10,000 mile example which, although premium money for a 90s 900SS, seems pretty much on-par for an FE these days. 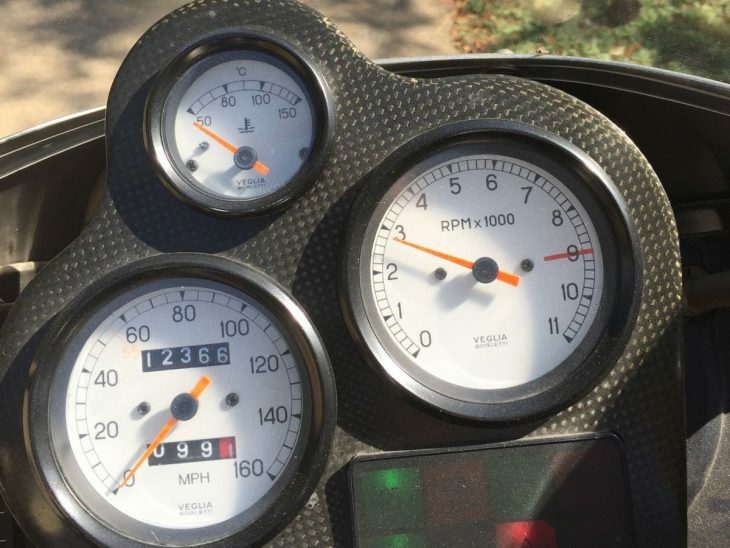 At some point, you may get to thinking, "These modern sport bikes are going to kill me." It's a pretty logical conclusion. It's bad enough we have to dodge car drivers on cell phones, off-leash dogs, deer, moose, apparently coyotes... We have to watch out for road debris, sand, rocks, wet leaves, and sometimes discarded tracksuit pants... 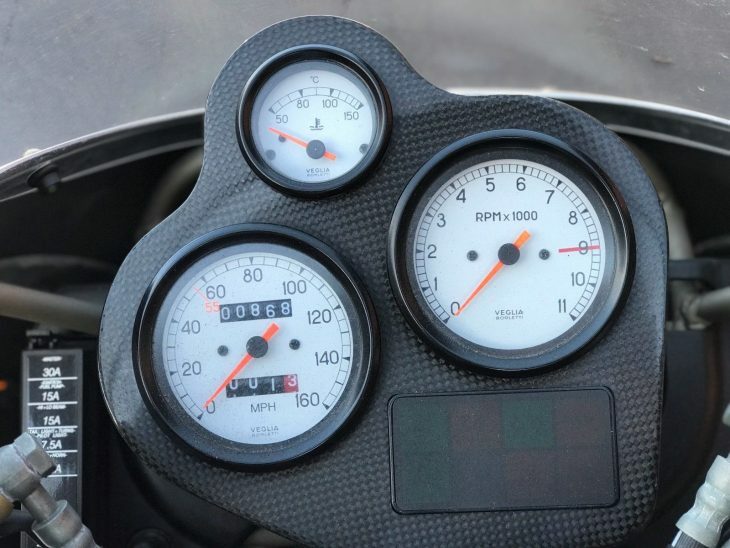 But even the bikes themselves are trying to do us in, with insane horsepower figures available at screaming rpm and handling that doesn't feel right unless you're hanging off the bike at 80mph as you leave the Dairy Queen parking lot. 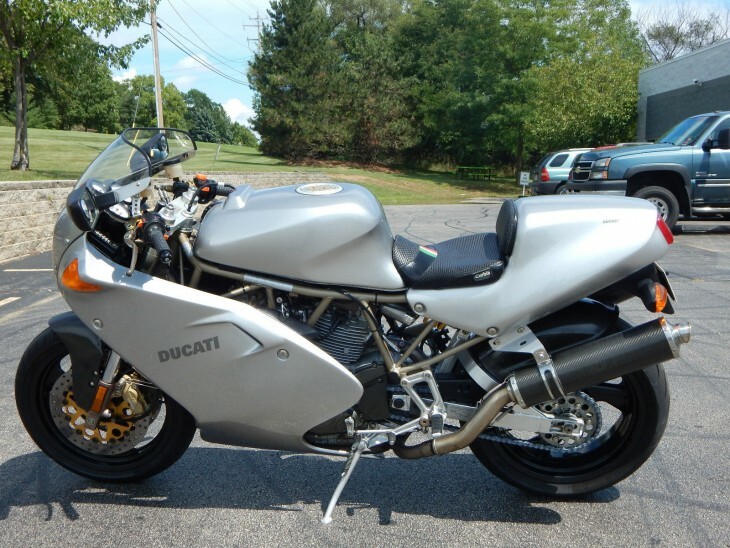 But the Ducati 900SS is a bike that you can appreciate at any speed, regardless of what Hunter Thompson says. Of course, the FE model was only the "Final Edition" of the first-generation belt-drive SS and there was a whole bit of shark-gilled weirdness to follow, although some would like to pretend Pierre Terblanche's 1999 version doesn't exist, like sci-fi film buffs who like to pretend "Alien 3" doesn't exist. 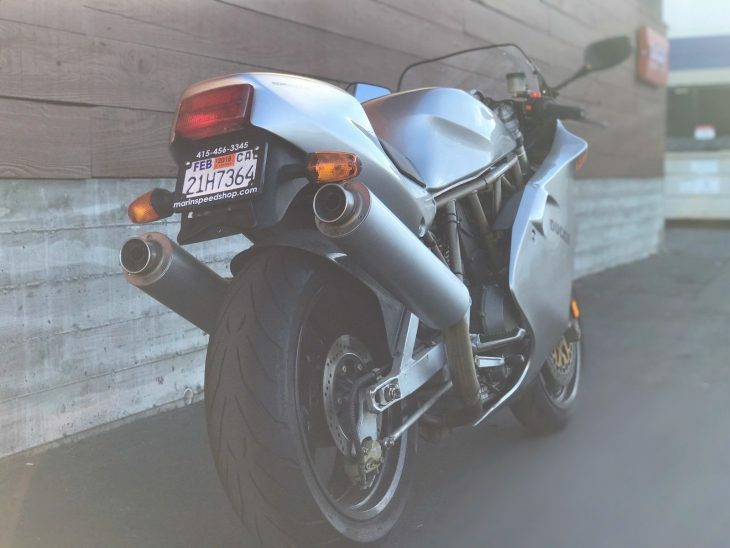 And let's be real here: the FE was basically a 900SS with a Superlight-style solo-seat and upswept pipes, with very nice, very subtle silver paint and some carbon bits. And like the Superlight, it isn't particularly light, or all that super. 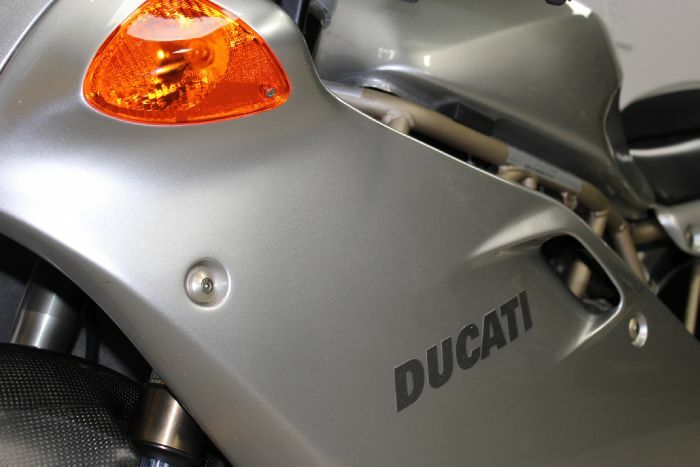 But what it is an honest, good-handling sports motorcycle with a torquey, charismatic engine and classic looks. 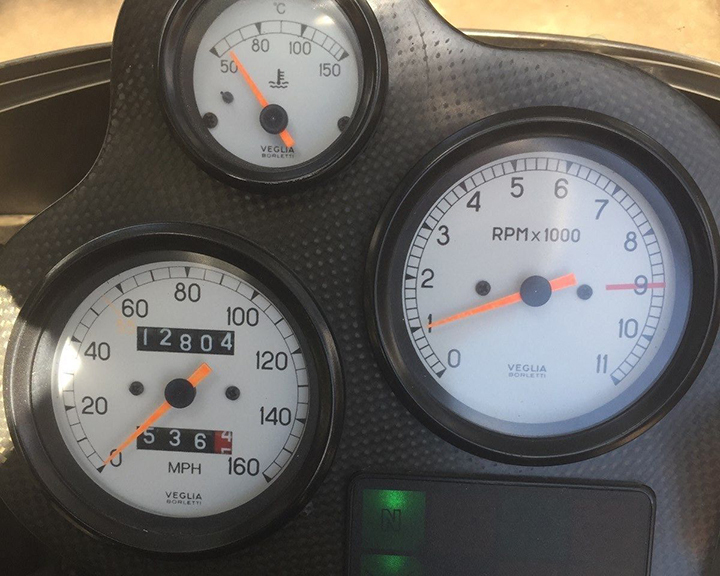 80hp is plenty for most riding, and more is available if you want to swap in a set of flat-slide carbs or a big-bore kit. Handling isn't cutting-edge sharp, but there's plenty of grip and stability on tap if you want to hit the canyons on Sunday morning. 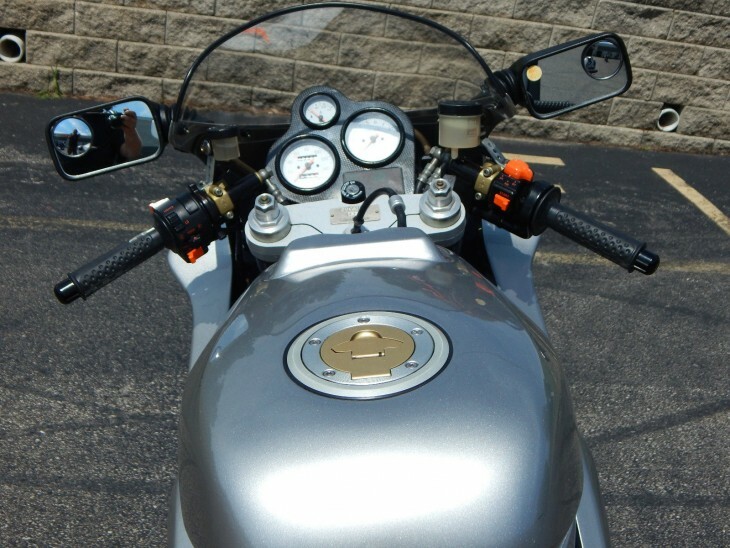 The ergonomics are humane but still sporty, so you can stave off the purchase of a Barcalounger Harley or Goldwing. So this is a motorcycle for aging gracefully out of knee-dragging cornering antics, one you can enjoy while taking it easy, but a bike that can still show the kids a thing or two when the situation demands. Or you come around the corner and find a deer standing in the middle of the road. The FE Stands for 'Final Edition', and the 900SS FE was a last special production run of the old carburetor-equipped SS before it was replaced in 1998. Based around the 900SS Superlight, the FE had special cosmetics, a tuned engine, and elegant chassis changes. The special silver single-seat bodywork was wrapped around a modified engine, with race-style high-level exhaust pipes. The front brakes have cast-iron racing discs and the black wheels are lightweight. 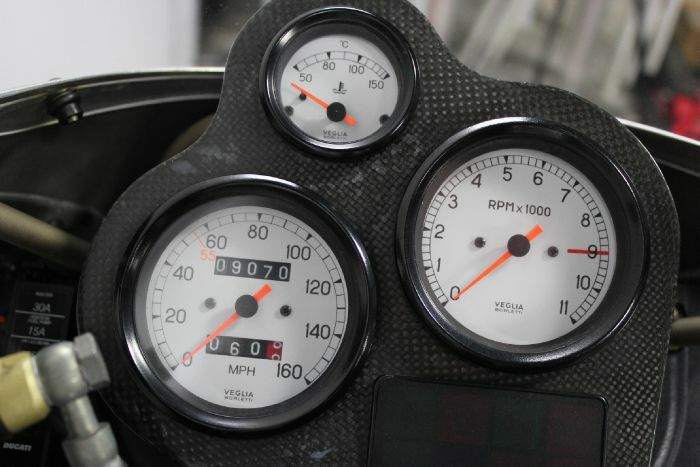 A carbon-fibre clock surround, chainguard, mudguard and body panels complete the high spec. 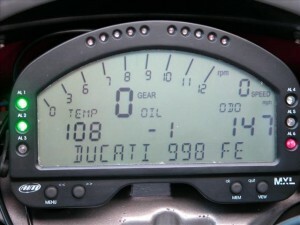 The FE's performance was only slightly improved over the standard bike, and it was really intended as a special celebration of the old model. Only 800 were produced. Limited to just 300 bikes in North America, the 900SS FE is the last of the 2nd generation SuperSports to be produced by the Bologna factory.Based on the 900SS SP, the FE comes dressed in elegant silver bodywork and black wheels, with carbon fiber rear fender, dashboard cover, and countershaft drive cover. A solo (monoposto) seat completes the stunning visual impression. To back up the race-bred look, a few additional changes have been made as well. The exhaust pipes have been raised to provide improved cornering clearances. New cast iron floating brake rotors have been fitted with remote reservoirs and adjustable levers. New cylinders, alternator, and voltage regulator have been added. The resulting combination will assure that the thrill of the ride matches the beauty of the machine. 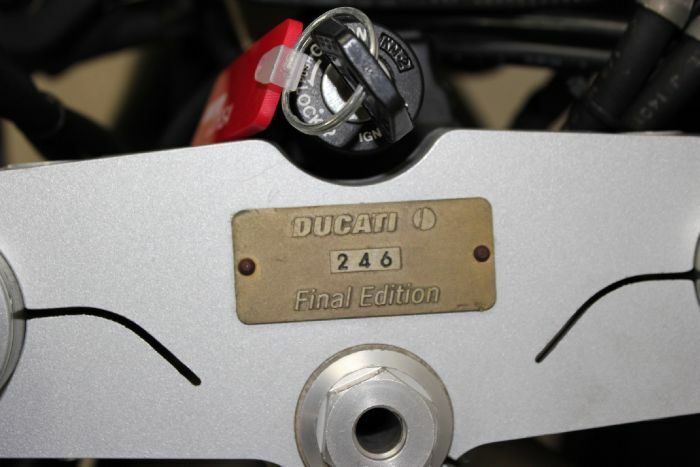 To further secure it's place in the DUCATI legacy, the top triple clamp of each FE will be fitted with a consecutively numbered commemorative plaque. There will be no doubt as to the special position the FE will assume in the heritage of the most sought after sport motorcycles in the world. While most of the Pantah-engined 900's are very undervalued right now, the Superlight and FE represent a definite investment opportunity, at least in the short term. 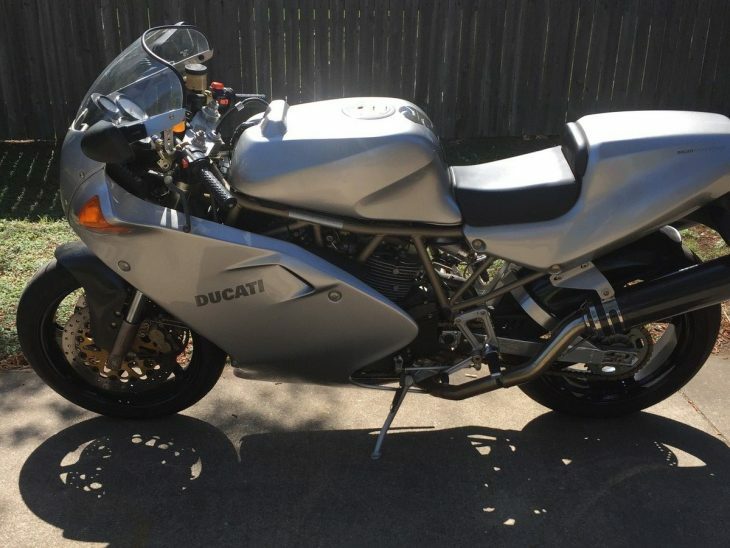 At some point, all those $3,500 900SS will go up in value, but for now, they're the dirt cheap way into Ducati sportbike ownership. But because they're so cheap, some have high miles or have been a bit abused. Although keep in mind that the Pantah engine is good for some serious mileage when properly maintained, so 10,000 miles on the engine means it's just nicely run-in. The more exclusive models were pitched as collectibles from new, and many have been lovingly maintained. This example has reasonable mileage and looks very clean, with just that faded carbon and a bit of a tear in the seat, all of which could be easily fixed without destroying the originality or patina. Strangely enough though, while I've always thought the early Monsters look very classy in silver, the SS looks a bit bland. Purely an issue of personal taste, but I'll stick with a nice, yellow, half-faired SS-SP, thanks. 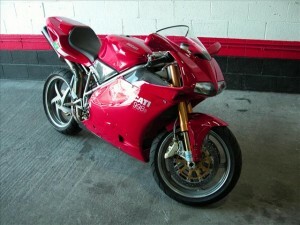 Here is another 998S Final Edition with very low miles! 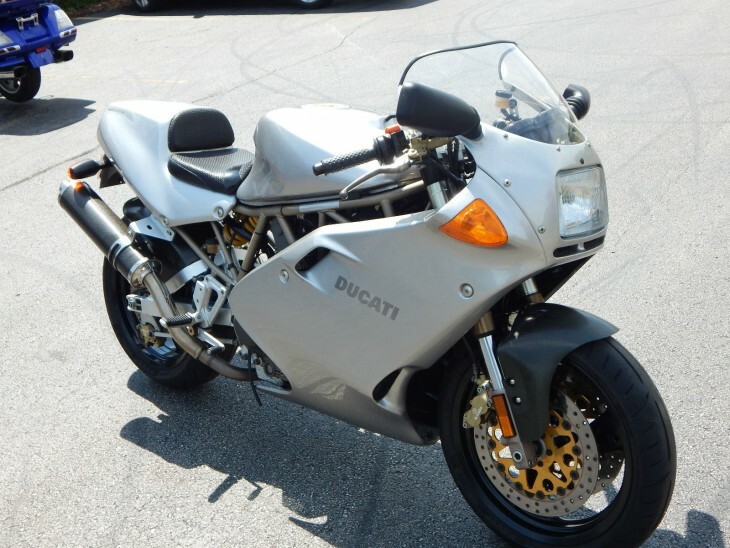 Located in Los Angeles, California is a 2004 Ducati 998S Final Edition with 147 original miles. For only 112 of these coming into the U.S., they've recently become available in California, Arizona and now another one in California. 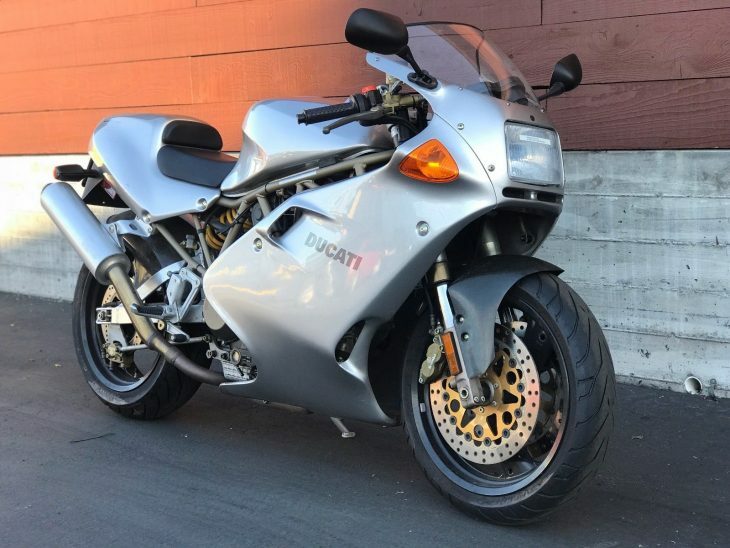 The other two 998S FE's we posted were modified and had some actual use but, one was priced at $8,500 and had 9,500 miles. The asking price for this bike is $22,995. 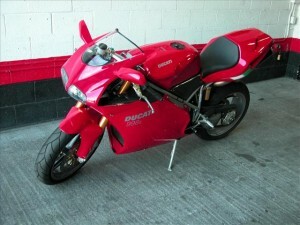 The seller is a dealer but, I still suspect that this is a bit steep for a 998S at this point regardless of mileage. 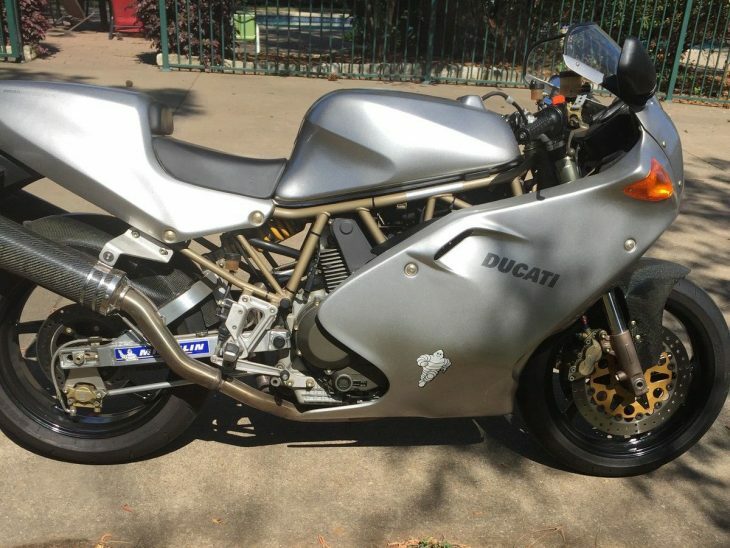 However, if you're looking for the last of the 916 line, with the least amount of miles, see this one on Craigslist here.